This sink was half the price of the exact one that I almost purchased before I checked Overstock. While still very expensive, I appreciated saving money with Overstock. It has a beautiful finish and is very well-crafted. An appealing classic, done better. Trough 36 bathroom sink renews this well-loved traditional trough sink design. The intriguing hammered copper texture is sublime; the spacious dimensions make washing up a joy. 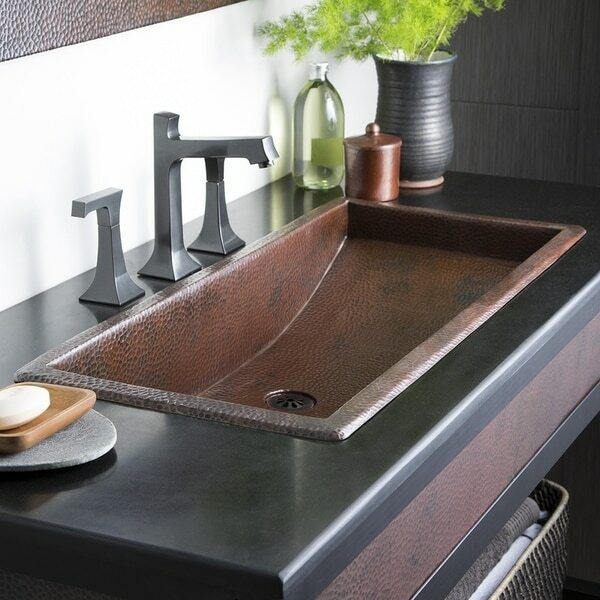 Trough 36 copper bathroom sink is artisan crafted; forged of high-quality recycled copper. Be sure to browse our sink accessories to find a coordinating sink drain to complete your design. Dimensions 36.0 In. X 14.0 In. X 6.0 In.